It’s January now, and that means we’ve just left an old year behind us and entered into a new year. But since we’re not that far into the new year yet, this month is a good time to look back on the old year and remember some of the things that went on at our business during these last twelve months. We’ve spent a little bit of time reminiscing, and we’re excited to share it with you. 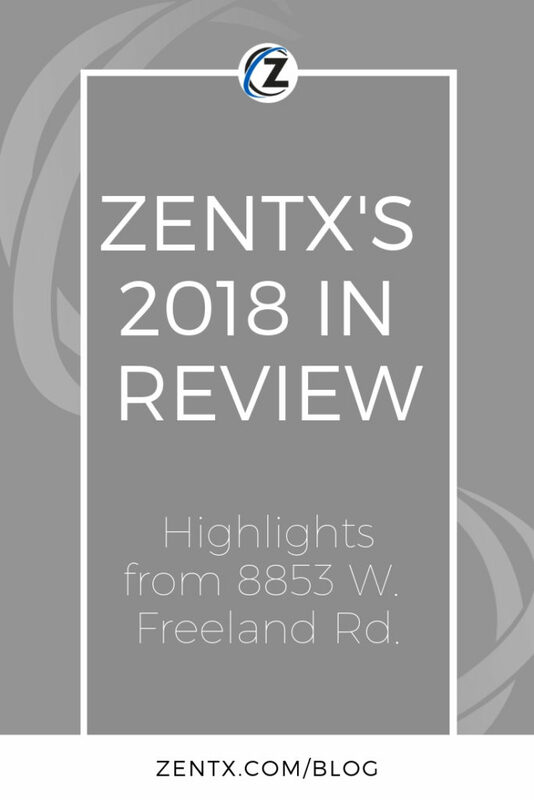 So read on to hear about some of the ZENTX milestones of 2018. 1. We got a new website. One of our most exciting developments this summer was updating our website. After making extensive preparations and creating loads of new content, we made the transition from a classic, rather outdated look to a more modern, mobile-friendly layout. This new website features an updated and organized portfolio, a visual team page, and pages where you can learn more about our project process and core values. 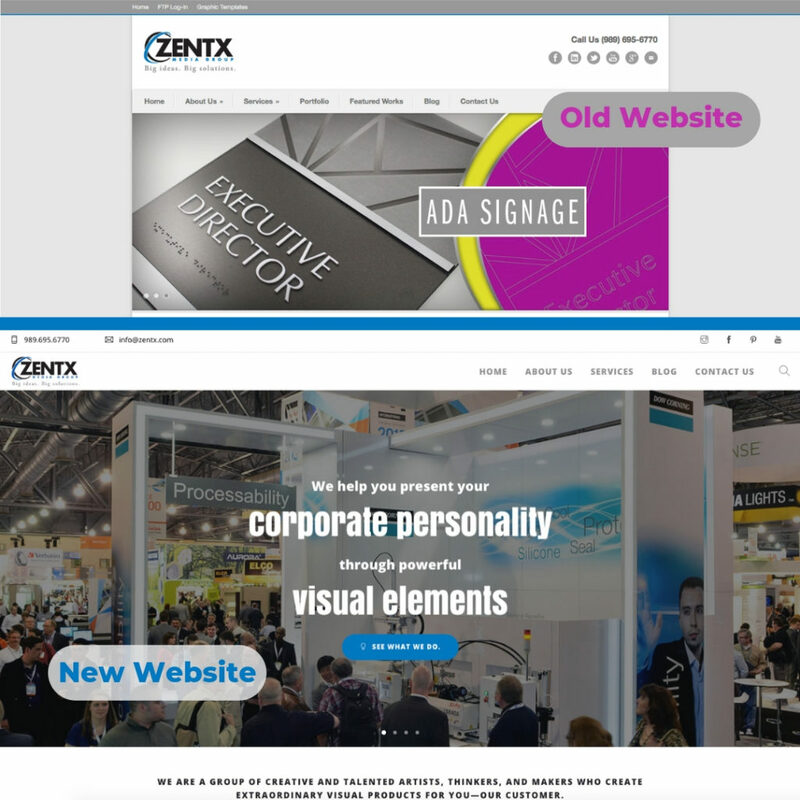 The ZENTX website, before and after. 2. We revived our social media presence. Along with these major updates to our website, we revived our social media platforms. We started posting more frequently on Facebook and sharing regular snapshots of our day-to-day work on Instagram. We also dusted off our LinkedIn page and started giving our YouTube channel a bit of a facelift. And we set up our own Pinterest profile, where we now share our projects with the more artistic subset of social media users. 3. We had some memorable team moments. 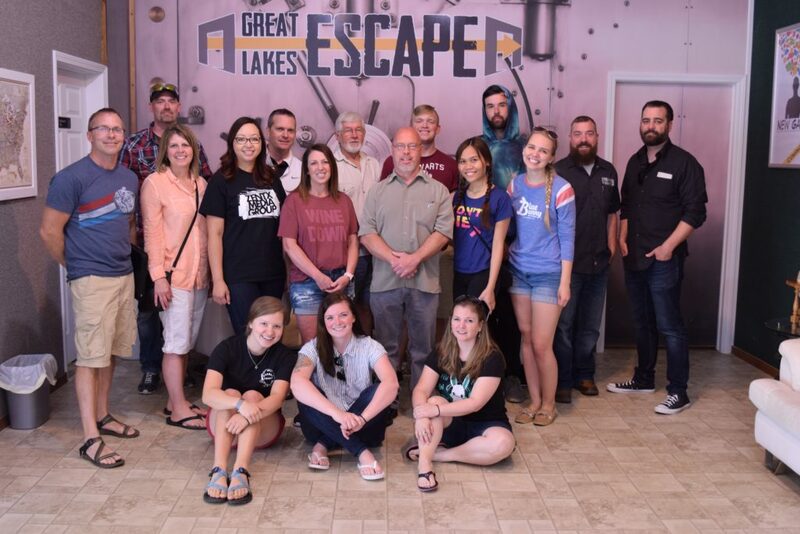 As one good old pioneer used to say, “All work and no play makes Jack a dull boy.” ZENTX leadership took this to heart last year and threw the team an employee appreciation day in June. It involved ice cream, a pizza party, an Escape room outing, and other team-building activities. 2018 also saw the very first ZENTX Halloween costume party and the continuing tradition of a Thanksgiving brunch. For Christmas, the bosses treated us to an afternoon of mini bowling and a white elephant gift exchange. And, on the more serious side of things, we had an intense building-wide cleaning day. Following that, we instituted a new auditing program to help keep our facility stay top-notch. 4. We continued to bring companies to the next level. And, last but not least, 2018 also saw us make great strides in helping to bring companies to the next level. 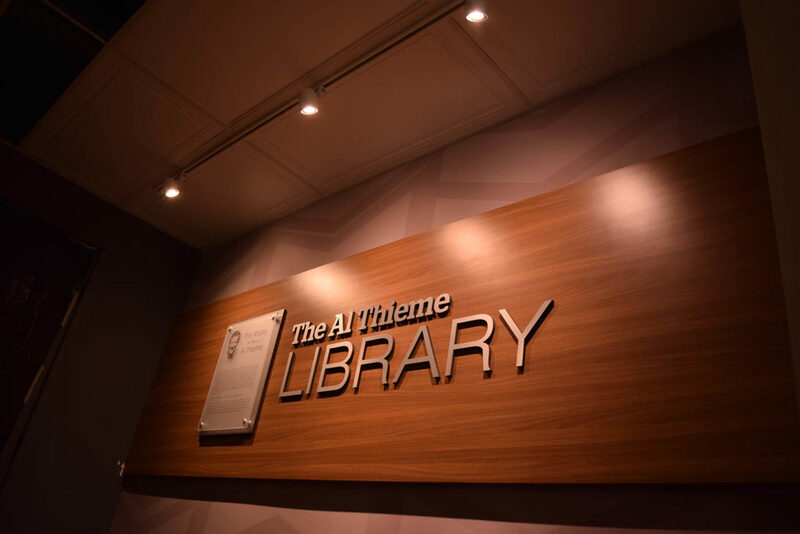 Through donor walls, corporate environments, trade show exhibits, and more, we used our specific skills to help these companies realize their dreams. We worked on trade show booth elements for Adcole Corporation and DICE Corporation. Our team helped the Dow Chemical Company with their new visitor’s center and Frankenmuth Insurance with their 50th anniversary exhibit. We created a map wall for Olin, a donor wall for SVSU, and exhibit signs for the Midland Center for the Arts. At Amigo Mobility, we transformed an old closet into a beautiful library space. And that’s just a sampling of the businesses we’ve impacted through our work. We could go on. But the new year is already upon us, so let’s keep moving! As we continue to wade into this new year, we look forward to making more strides as a team, as a business, and as your partner in design and fabrication. 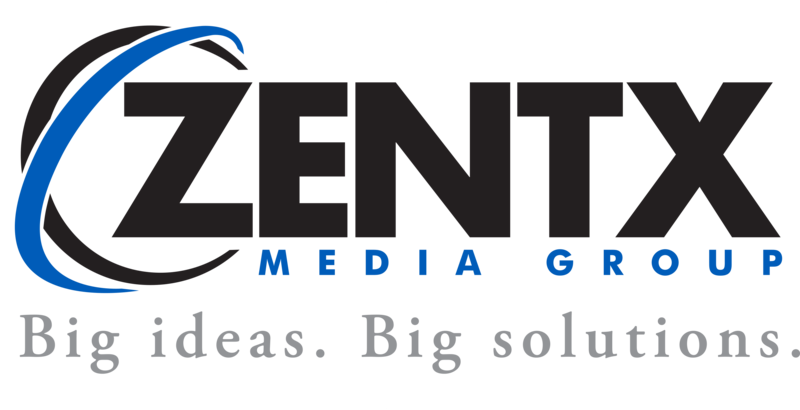 So join us this year as we continue the ZENTX adventure!